Aila is interested in girlcat stuff like home baking - not that it happens often here! She can be relied on to lick the bowls clean. And her head is so big, Mesi cannot fit in the bowl beside her. Instead, Mesi demolished the finished product. 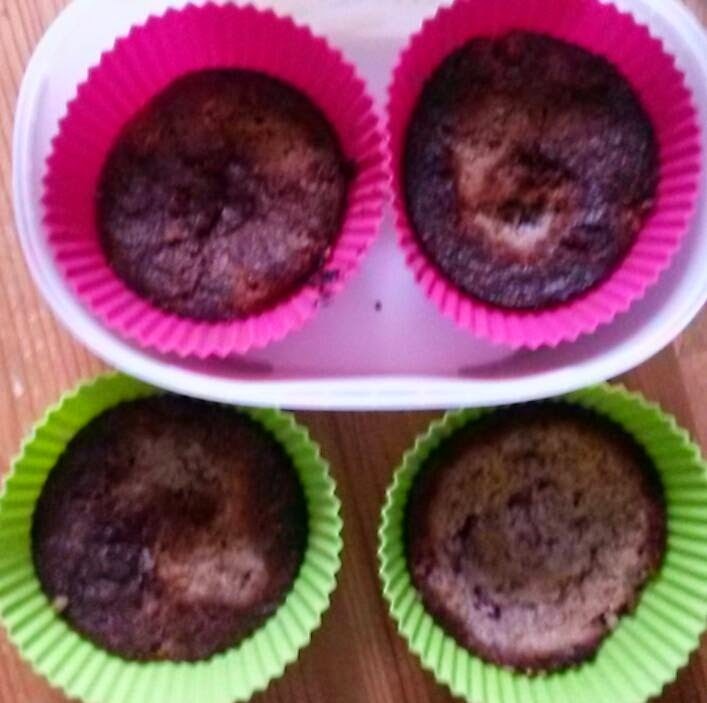 This is a dreadful photo but Little Princess Buttercup had just been caught stealing the tops from these just cooked cranberry and almond carb-free muffins. We luv lickin bowls clean round here. Nothing gets us mancats excited like ladycats in the kitchen! Maybe if I am lucky, my human will bake something for us kitties! I hear that she did it once! ila was enjoying the bowl, but Mesi knows what she likes! Mum made blackberry and apple crumble. I didn't like it, but I did like the Devon clotted cream she put on it. Sorry Aila, I don't know where your "A" went! Uh oh! I'm certain eating the tops off of goodies isn't a smart thing for kitties to do. Oh, oh Mesi, if you weren't so cute we bets you'd get into trouble for eating the baking. Well, Mesi just gave your baking an A+! Good show, Aiti! Maybe an increase in hungry little Mesi's rations may be warranted.